Manaslu Circuit Trek is the best choice for trekkers seeking adventure. This trek is a moderately difficult trek. The physical condition of the trekker has a lot to do with the Manaslu Circuit Trek difficulty. Manaslu Trek is one of the challenging treks in Nepal that takes you through the remote villages of the Himalayan region. It is one of the off-beaten treks in Nepal. This trek takes you around Mt. Manaslu, worlds eight highest mountain at 8,163m (26,781 ft). And is gaining popularity as the new jewel in the crown of Himalayan trekking. The Manaslu Circuit trek is also a great tea house trek. Some even call it the best all-round trek in Nepal. 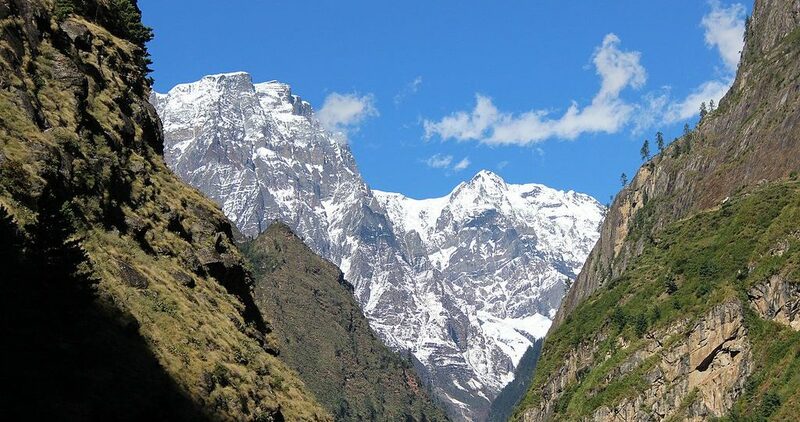 It certainly is a great alternative to the Annapurna Circuit Trek. It is far less crowded than other classic treks in Nepal. The spectacular suspension bridge crossings and a Himalayan pass at 1500m (17,000 ft) are absolutely thrilling. Allow us to discuss a few things that measure the Manaslu Circuit Trek difficulty. Manaslu Circuit Trek lies in the northern Himalayan range, the west-central part of Gorkha district. This trek is widely varied, as the terrains range from its lowest point of 228 m to the 8,163 m of world’s eighth highest Mt. Manaslu. Manaslu Circuit Trek is about 177 kilometers in total distance. On a standard 17-day tour itinerary, you’ll be walking for 10-12 days with an average distance each day of approximately 15-20 km, which can be pretty hectic for you. The first few days on the trail becomes difficult as the Budhi Gandaki Gorge is harrowing steep. You will walk through breezy trails and cross suspension bridges above the Budhi Gandaki River. Crossing the Larkya La Pass at altitude 5,213 m is a challenge. Also, trekking through the uneven terrain and rocky trail demands endurance and strength. The weather plays a huge role in determining the Manaslu trek difficulty. The Manaslu trail leads you through six climatic zones- the tropical and subtropical zone, the temperate zone, the subalpine zone, the alpine zone, and the arctic zone. Heavy rainfall, freezing nights, blazing sun, and chill wind are all possible during your trek. The days are generally warm and dry while the nights are freezing. It is important to pack clothes with regard to the season you intend to travel. Trekking during the winter season can be quite challenging. The days are warm but the temperature significantly decreases at night and drops down to -20 degree Celsius. During the winter, due to heavy snowfall, the Larkya La Pass and many tea houses remain closed. Summer season and monsoon experiences heavy rainfall. Due to the heavy downpour, the trail is slippery, muddy, and full of leeches. Spring season is the best time for trekking, the clear weather and finest views of snow-capped mountains are just mesmerizing during this time. It is also the perfect time to witness rhododendron blossoms. Another favorable season for trekking is autumn. It is also the peak time for trekking. The weather is pleasant and the views are spectacular. So, Manaslu Circuit Trek Difficulty on the basis of weather can be reduced if you plan your trek during spring and autumn. Altitude sickness or acute mountain sickness makes a trek difficult especially during high altitude treks. Manaslu Trek has great variations in terms of altitude. So, one of the major difficulty you could face during Manaslu Circuit Trek is your ability to adjust to high altitudes. The trek starts from a lower altitude of Soti Khola at 700m and reaches a higher altitude of 5213m at the Larkya La Pass. Everyone is at a risk of altitude sickness so being well informed about altitude sickness can lower the risk of it. Climb slowly. Your body needs two to three days of slowly going higher in order to adjust to the changes. When you are at a higher altitude, your body requires more calories. So, pack plenty of healthy snacks containing carbohydrates. Avoid alcohol, cigarettes, and medications like sleeping pills which can make altitude sickness worse. Staying hydrated is very important in preventing altitude sickness. So, drink plenty of water during your trek. If you have a headache or feel sick, stop and rest where you are and take appropriate medications and inform the guide immediately. How to Train for Manaslu Trek? It is best to train your body a couple of months before any trek. This reduces the risks of any health related issues or will train you in increasing your stamina. This will make your treks a lot more comfortable. Strength and Endurance Training are the most important when it comes to determining your fitness level for trekking. During this trek, you will have to walk for a few hours with your backpack every day, so it is important that you build your strength in your back, shoulders, and arms. Leg strength is also very important for your trek, so your training must include exercises to strengthen your leg muscle. Another important factor to take into consideration is your diet. While training, you should drink plenty of water and eat foods rich in carbohydrates, protein, and fibers. For Manaslu Circuit Trek you need to have a healthy cardiovascular fitness. It boosts the ability of your heart and lungs to supply oxygen-rich blood to the muscles during the trek. As the altitude increases, the air pressure decreases which means less oxygen to breathe. So to cope with less oxygen, you need to build your cardiovascular fitness. Cycling, swimming, running, jogging, and walking are some great exercises to develop your cardiovascular fitness. You can only imagine how the trek is until you actually start the trek. So to get the feel of how your body reacts to long hours of walking, you should complete a few one-day treks. There are plenty of short treks in Kathmandu you can try before trekking to the Manaslu circuit. Doing this will help you prepare yourself mentally for the upcoming Manaslu trek. Yes, you need permits for the Manaslu Trek. 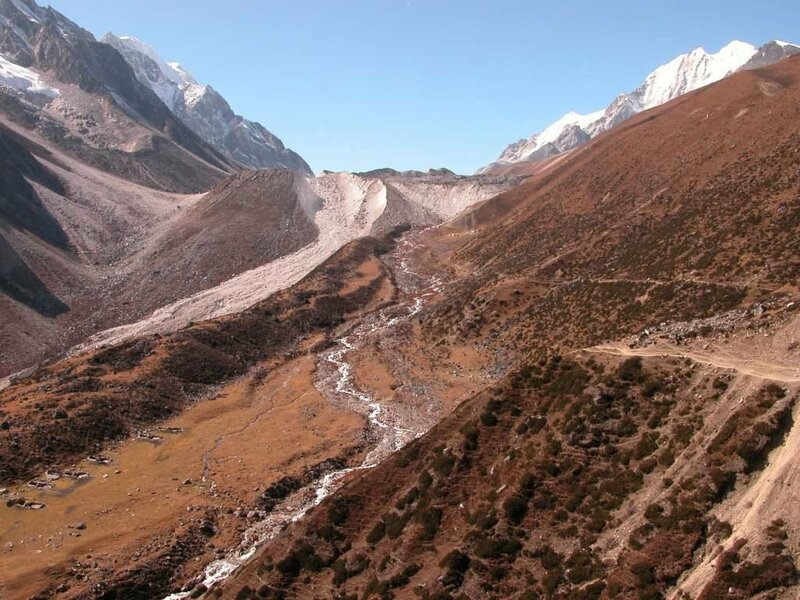 The Manaslu trek circuit is quite close to the Tibetan region. So, for individual safety and to preserve the natural beauty of the area, no one is permitted to trek alone. All trekkers should get a trekking permit and a registered tour guide before trekking in the Manaslu region. Regardless of its reputation for being a difficult trek, this trek is actually a moderate trek. And with the right training, mental preparation and attitude, this trek will prove to be one of the best treks of your life. Are you are planning for a trek to Manaslu Circuit but putting it off because of the rumors of it being difficult? Let us assure you that with proper guidance and help you can trek to Manaslu without any problem! The best season for trekking in Manaslu are March,April&May.